Refill that cup of caffeine we talked about yesterday because here’s the second part of our list of games debuting for sale at Gen Con. I don’t know about you, but it feels like Christmas as a kid where you take the various store catalogs and start circling what you want. I had two brothers so I often let them go through it first and initial what they wanted. If they circled something I wanted then I got to pick something else! 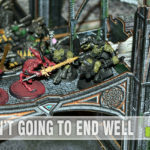 If you regularly game with the same people, consider having them start with Part 1 of Games Debuting at Gen Con to see what they want then follow up with Part 3 tomorrow as well. You can diversify your budget and get more games this way. We’ll update the list with links to the games on Amazon as soon as they are available for those who aren’t able to make the pilgrimage to Indianapolis this year. 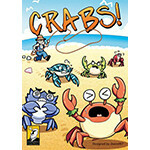 As a renowned crab hunter in Crabs!, you cannot miss this carnival, so grab your gear and let’s going crabbing! 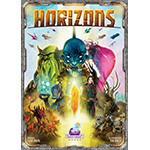 In Horizons, you are a star faring species taking the first steps into a new galaxy. Find new stars, explore new worlds, collect valuable resources, and secure allies to gain the most ground in expanding your empire! Build colonies and resource collectors to hold onto control in various, and increasingly crowded, star systems. Do you have what it takes to manipulate the resources at your disposal and control the galaxy?! 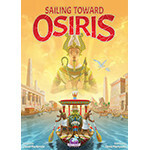 Sailing Toward Osiris is a euro-style game with worker placement, resources management, project completion, and no direct conflict. Down-time is kept to a minimum via a single action, round-and-round turn structure that emphasizes timing decisions and subtle strategies. The game takes place over four “seasons” with the movement of Pharaoh’s barge tracking the game’s progress. Each season, after players draw workers from a communal bag, play begins with each player taking a series of one-action turns from a list of 10 possible actions. In Hanamikoji, two players compete to earn the favor of seven illustrious Geishas by collecting each Geisha’s preferred performance item. With careful speculation and a few bold moves, can you outsmart your opponent to win the favor of the most Geishas? 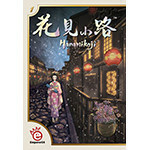 Visit the Deep Water Games booth and purchase your copy of Hanamikoji to receive a Geisha promo! Welcome To… plays like a roll-and-write dice game in which you mark results on a score-sheet…but without dice. Instead you flip cards from 3 piles to make 3 different action sets everyone chooses from. Player’s will get to choose a house number and a corresponding action. You use the number to fill in a house on your street in numerical order. Then you take the action to increase the point value of estates you’re building or score points at the end for building parks and pools. Players also have the option of taking actions to alter or duplicate their house numbers. And everyone is racing to be the first to complete public goals. There’s lots to do and many paths to becoming the best suburban architect in Welcome To! 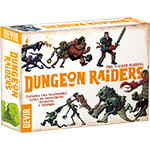 In Dungeon Raiders each player takes on the role of a different adventurer. You will have to join forces to survive the dungeon, but only one of you will get out with the most treasure and win the game. The dungeon is different each time you play, so its dangers like deadly traps and terrible monsters always surprise you on your path to swag and riches. Phil Walker-Harding, of Sushi Go! and Imhotep fame is the designer. It is the Age of Rebirth, thanks to the discovery of a new type of catalytic energy and the special individuals who are able to exploit it. 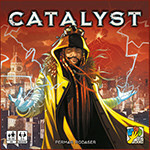 These rare individuals, known as “Cayalyst”, use this energy to act together in a sort of interconnected network. Can you make the most of their superhuman abilities to lead your city to fame and fortune? This is a simple yet deep game of engine-building and powerful combos. You will carefully build up your chain of actions, and then finally pull the trigger to perform all them at the same time! 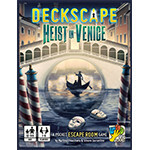 In Deckscape: Heist in Venice you are professional thieves, now retired, but a mysterious missive forces you to reunite the old gang. The mission: sneak into the oldest casino in the world, in Venice, and steal a 1 billion euro chip! Each of you has specific skills and abilities, and if you stick to the plan everything will be fine. Although, yours is a risky job, and an unexpected event could compromise the whole mission… Can you overcome the intricate security systems of the casino and then run away with the loot? 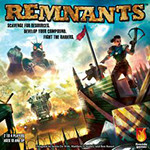 Remnants takes place in a post-apocalyptic world. 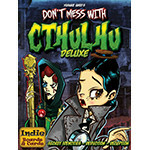 Each player builds a compound and fights to survive raiders and mutant creatures. The game is played in five phases: Scavenge, Build, Fight, Heal, and Clean-up. In the Scavenge phase, you send survivors into the Badlands to roll dice in a real-time race for resources. In the Build phase, you take turns spending those resources to buy weapon, defense, and special development cards that enhance your compound. When threats attack, you roll dice and use abilities from cards you purchased to survive. You’ll fight a Level 1 threat, followed by a Level 2 threat, then finally face down the Raider Boss. After the final attack, the game ends and the player with the most victory points wins. Victory points can be scored from development cards, survivors, specialists, defeated threats, and special bonus tokens. Second, there is a new deck of Show Cards with a different mix of Genres. Each Genre now has an equal chance of appearing, unlike in the base game where Reality and Sports shows were less common. However, Sports Shows now have a higher upkeep, and Reality Shows don’t get you as many Viewers on average as another Show with a bunch of Stars. Third, players no longer automatically get starting Public Access Shows, Stars, or Ads. 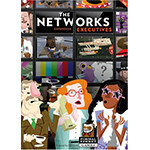 Instead there is a starting “Pilot Season” draft in which players pick their starting TV shows. These starting Shows determine a player’s starting resources, like Stars, Ads, and extra money. An epic encounter between the world’s savviest alchemists is drawing universal attention. 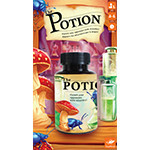 Each alchemist starts with the same basic ingredients: rare mushrooms, secret liquid vials, and poisonous beetles. In a match of wit and bluff, they compete to get rid of their ingredients and take control of the final potion. Closely watching each other’s moves, will you prevail in this unique and original game of deception? At the beginning of each round in The Potion, a player rolls the dice to determine the ingredients players will be bidding on. After considering the roll, players secretly choose one ingredient from their palm and place it in their other hand. Once all players have made their choice, everyone reveals their selected ingredient. Compare the type and quantity of the ingredients revealed with the result of the dice roll. Players who meet the winning conditions set by the dice may discard their ingredient and place it into the bottle. The players who did not meet the winning condition keep their ingredient. Dice are passed clockwise to the next player who rolls the dice, and a new round begins. 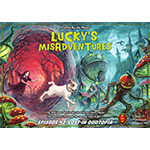 Roll into the action in this easy to learn and quick to play dice game for 2 or 4 players. 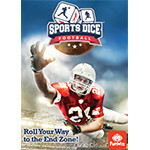 Sports Dice: Football includes all the drama of a real game. Go for it on 4th down and reach the end zone to score a touchdown. Then try to stop the opposing team by sacking their quarterback. The team that starts on offense starts on their own 25-yard line. They have 4 downs to get to the 50-yard line or beyond. Once they reach (or cross) the 50-yard line, they receive a new set of downs and now have 4 tries to get to the opposing team’s end zone. Both team simultaneously roll all their dice. The symbol that appears the most on each team’s set of dice becomes their play. The team that rolled the most dice with the same symbol wins the roll. Apply the outcome of the winning play by moving the Football Token and/or Down Marker Token accordingly. Yeah! 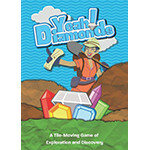 Diamonds is a family friendly game of tile moving and deck building. It puts a unique twist on deck building by adding a physical layer to the core concepts gamers are used to. Players begin with a basic set of arrow tiles, which they use to move scoring tiles out of a shared grid. Acquired tiles are added to the player’s growing deck, giving them powerful new abilities when played. Yeah! 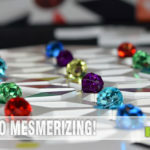 Diamonds is designed to teach basic mechanics of deck building and combos to new gamers of all ages. It’s accessible, strategic play is coupled with easy to grasp scoring to encourage quick play. A unique orientation system ensures that the game plays differently for everyone and that players always have meaningful choices. 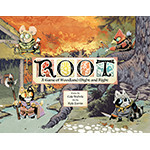 With whimsical art and easy setup, it’s sure to be a staple of game nights and family nights alike. 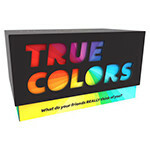 Players earn points by correctly answering five rounds of increasingly revealing questions. The twist? 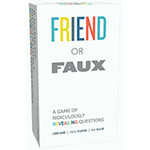 Players have to answer the questions about each other, ultimately determining whether you are Friend or Faux. Light-Hearted, often surprising and at times risqué, Friend or Faux uses the funny but all-too-real moments of your own life. Players will get personal, recall memories, share stories and will have you laughing until it hurts. 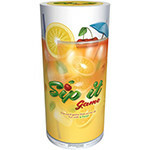 Get ready to shake up your next game night with Sip It! 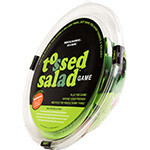 Tossed Salad is a fast-paced charades-like game of thinking quickly and acting totally nasty. Can you get others to guess the words and phrases that await in the salad bowl? Players attempt to best anticipate how others perceive them. Each round consists of several private ballot votes on who best fits a particular question. Once votes are entered players guess at the number of votes they received for that particular question. The better your estimate the more points you make and the winner being the player who best understands how others see the player. Soar to dizzying heights in the electrifying cooperative adventure. Work as a team to explore a mysterious platform that floats at the center of a savage storm. Connect a circuit of cables to launch a secret rocket — all before you are struck by lightning or blown off to the depths below. It’s a high-wire act that will test your team’s capacity for courage and cooperation. One false step and you all could be grounded…permanently! 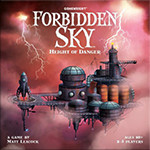 This latest installment in the Forbidden… game series takes you to new heights with several novel challenges, including collectively planning a terrain using only limited information and constructing a real electrical circuit. 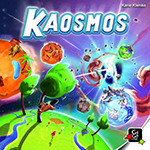 Kaosmos is a speedy game of tile placement. Through five game rounds, each player tries to build and optimize their personal nine-tile galaxy in a limited time. You must rearrange your planets into different zones while trying to keep your asteroid path as long as possible. Kaos cards challenge each player to adapt to a new rule each round. At the end of the game, your weakest zone score is added to your asteroid path score to determine the winner. A super-simple and addictive game where players have to transfer the symbols rolled to the grid of the block sheet. The more identical symbols are grouped, the more points can be scored. The game is as simple as Sudoku and can also be played alone. 2 dice are rolled and each player has to draw these symbols into their sheet following very simple rules. The two symbols have to be drawn in orthogonally adjacent fields. Single fields previously surrounded with symbols will never be filled, as long as there are adjacent spaces, the symbols must be entered. The game ends when the sheets are filled or there are no legal adjacent spaces left. Each row and column are scored separately: 2, 3, 4 or 5 adjacent symbols of the same type score 2, 3, 4, 5 points PLUS 4/5 bonus points for 4/5 symbols. 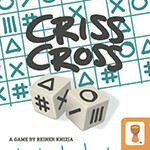 The Grail Games edition of Criss Cross also includes “Advanced” rules which add a layer of complexity to the base game. 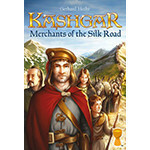 In Kashgar: Händler der Seidenstraße, the players trade different spices that are coming over the silk road from Asia to Europe. Each player has control over three caravans. In the beginning, each caravan consists of three cards that are spread out vertically so that the top part of each card is visible; each card stands for a caravan member with different abilities. On his turn, a player performs only one action, choosing one of the cards on top of the three families and executing one action shown on that card. Then the card is put at the back of its caravan. To use the same caravan member again, a player must first use all the other cards on top of that caravan row. These actions can influence the player’s stock of spice, gold and mules. To keep track of that stock, each player has his own board with wooden markers that are moved accordingly. Actions can also bring new members to the caravans and can enable the player to fulfill one of four delivery request cards from the middle of the table. Finally, there are actions that mix things up a bit, such as by getting rid of a caravan member or even influencing other players’ caravans. 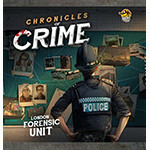 The game ends when one player has earned 25 points by collecting character cards and fulfilling delivery request cards. The period of the Warring States (475-221 BCE) describes a time of endless wars between seven rival states: Qin, Chu, Qi, Yan, Han, Wei, and Zhao. These states were finally unified in 221 BCE under the Qin dynasty to lay the origin of today’s China, with its two main rivers: the Yellow and the Yangtze. 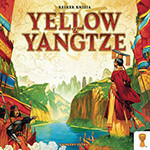 In Yellow & Yangtze, players build civilizations through tile placement. Players are given five different leaders: Governor, Soldier, Farmer, Trader, and Artisan. The leaders are used to collect victory points in these same categories. However, your score at the end of the game is the number of points in your weakest category. Conflicts arise when civilizations connect on the board. To succeed, players’ civilizations must survive these conflicts, calm peasant revolts, and grow secure enough to build prestigious pagodas. You and your dog Lucky should not have taken that shortcut through the woods that night. How were you to know that you would be taken through a portal to Oddtopia — a surreal world of Tinkerers, Wickeds, and Oddlings? The Great Mechanical Toad reveals the fates to all. What is your fate? Will you and Lucky find a way home, or will you stay, build your power, and become the Witchard of Oddtopia? 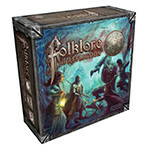 Folklore: The Affliction is an adventure board game for 1-5 players, in which your characters progress through a series of stories in their quest to rid the land of evil. Every story is broken into chapters, allowing players to control the length of each game session. Most chapters take 45-60 minutes to complete. Pocket Mars is a fast paced and wildly dynamic card game but don’t let the short playthrough time fool you. It’s a heavy weight filler! A compressed and easy to understand set of rules, combined with cards that you can play in more than one way is what makes this game great! Fifteen minutes is all it takes for you and your friends to set out on an exciting adventure in space! 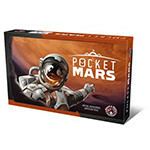 In the world of big games about Mars everybody should have one that fits in their pocket. Your goal is to place as many colonists as you can in the buildings of your Mars settlement. To do so, you will need to choose carefully how and when to play your cards. Each player owns a road, and to win, you must keep the fewest roadkill or truck cards at the end of each round. 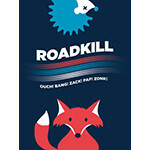 Roadkill is a game of cheap shots, compulsive cleaning and payback. 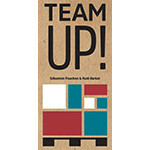 If you have ever worked in a game store, at a logistics company, or for a game publisher, you understand the theme in Team UP! It all starts with a pallet and multiple boxes of different shapes that you need to stack on top of it. The game is cooperative, with players teaming up to pack the most compact pallet possible. You draw cards that indicate the color or shape of a box, and that’s the type of box you have to stack next. 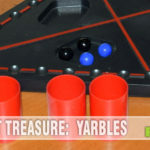 The game proceeds until there are no more boxes to stack or until the players decide it is best to stop to avoid penalties. Scoring takes into account three factors: the number of full rows on the pallet, the number of boxes that aren’t stacked on the pallet at the end, and the number of penalty points (from cards you draw but cannot play). The best score is 25. The perfect solution exists, but will your team find it? 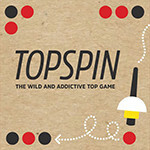 TopSpin is played in the box with a high-quality spinning top and small balls. 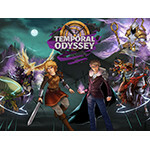 The game includes two game modes: Challenge and Battle. In Challenge, the first player to kick a ball at least once in each of the twelve holes wins. In Battle, the players have three lives each and they focus on beating the previous score. The last player standing wins. ou are an vagabond fisherman. You have easily won countless fishing competitions so far, but this one seems a bit different… you feel the presence of some powerful competitors. Who is the one to beat all rivals and become the Lord of the Die-angler? ダイ公望 (Lord of the Die-angler) is a dice game from Japan. The object of the game is to be the one to capture the most fish cards. 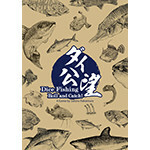 Cast the fishing rod (dice), and you get the fish if the requirement is met. The player with the most cards at the end of the game wins. 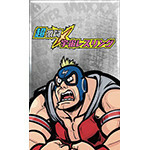 Each player receives a hand of ten wrestling cards and one victory card; each wrestling card has a strength value on it as well as an opposing value that it overcomes. On a player’s turn, they choose an opponent who doesn’t have the most cards on the table in front of them and challenges them to a bout of either strength or speed. Each player chooses a card in hand, then reveals them simultaneously. If your card overcomes the value that your opponent played, then you win the bout automatically — unless you each overcame the other’s number, in which case the bout is a tie. 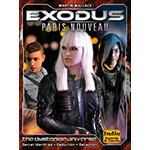 In Exodus: Paris Nouveau, you’re a member of a specialist team sent on a rescue mission to save refugees trapped in an urban warzone. At the start of the game, the players are secretly and randomly divided into two teams: those with a secret hunter ID card are on the hunters team, and those with a secret rescuer ID card are on the rescuers team. The problem is that although you know which team you’re on, you don’t know which of the other players are also on your team and which are on the other team! Ninjitsu! 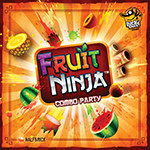 is a card game for 2-5 sneaky ninjas, suitable for players of all ages. A stand-alone sequel to the hit game Scuttle!, this game of devious bluffing and subterfuge will keep the whole family entertained for hours. 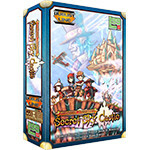 In this fast-playing card game, players scheme to be the first to reach 21 points. Each turn either play a card or draw 2 cards; cards can either be played as treasure or as an action. 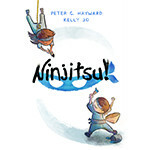 Ninjitsu! introduces hidden treasures: treasure cards that are played face-down. Swipe hidden treasures from your opponents at any time, but watch out for booby-traps! 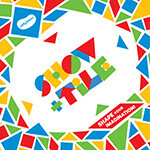 Show & Tile is a party game for 3-6 players that’s suitable for all ages! Each player takes two sets of tangram tiles, picks a word, and starts building. At the end of 90 seconds, put your tiles down and try to guess everyone’s words! Can’t draw? No problem! Tangrams have been around for centuries, and can be used to construct anything you can imagine! 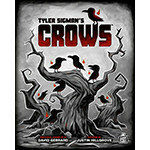 Tyler Sigman’s Crows is a competitive tile placement game where every player takes on the role of an Outcast Mage in the world of Tessandor. A once-in-a-lifetime event is causing the crows of the Obsidian Wastes to give off mana that can be collected in magical stones. 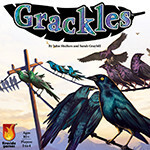 Players score points by enticing crows to flock to their totem (their shiny object). This can potentially create murders of crows, which then disperse throughout the ever changing map keeping the strategic gameplay tense and diverse. 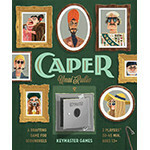 Caper plays over six rounds with a colorful, quirky design that combines card drafting and set collection with area control. Players are met with challenging decisions such as drafting particular thieves, giving them specific gear, and stealing precious works of art. The game changes depending on what city you’re playing in, giving you unique ways to play every time. Ride a rocket to extraordinary destinations across our galaxy. During your travels you will gather exotic crystals that further our understanding of what’s out there. Use these crystals to complete exploration badges and turn them in at the mysterious Outpost 13 to prove yourself as the galaxy’s next great space explorer! 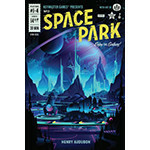 Space Park features a modular board where seven destinations are randomly arranged to form a circle between players. During a player’s turn, rockets will be on three of the board’s seven destinations. These rockets symbolize what destinations are available for a player to travel to. Once a player travels to a destination by performing its action, that rocket moves to the next open destination clockwise. Destinations feature actions such as gaining a certain type of crystal, acquiring a new badge to work toward, turning in your crystals for Explorer Points, or using your trusty explorer-bot Scout to help out. The player with the most Explorer Points at the end of the game wins. 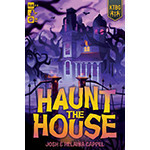 In Haunt the House, we are ghosts competing to scare Ghost Hunters out of the various Rooms of our haunted house, and collecting their exploration gear as trophies. Each Ghost Hunter is scared out only by a specific combination of Scares. Each player has a hand of Scares they will use to try and get those Ghost Hunters out! When you call BOO!, point to a Ghost Hunter and reveal any facedown Scares, then (if more Scares are needed and if you have them) add Scares from your hand to finish off the Ghost Hunter. Congratulations… you’ve scared out that Ghost Hunter and grab their gear for your collection! At the end of the game, the ghost who has collected the most valuable sets of gear wins the game! The experienced version of the game introduces a variety of Phantoms; helpful allies that you can play to activate game-changing powers. Once all the sassy villagers have been eaten and the treasure hoarded up, it’s time for some after dinner relaxation. So the dragons play a fun little game rolling around leftover human skulls. Nothing washes down a nice meal of humans like the taste of victory! 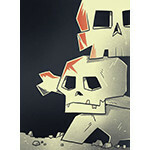 Dragoon: Heads Will Roll is a multiplayer dexterity game in which players roll out a fistful of skulls across the table, then attempt to flick themselves around scoring points based on where the skulls have landed. The first player to score 21 points wins! 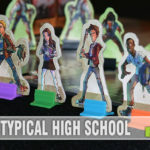 Human Era is a 4-10 player social deduction game in which you and your crew are aboard the last time machine to save space and time from the chaos unleashed by the haphazard time traveling of humans. However, among your crew are machines and cyborgs disguised as humans with their own goals in mind. Achieve your goal of repairing or destroying the space-time continuum before fuel runs out! Marquise de Cat: Dominate the woods, extracting its riches and policing its inhabitants. Woodland Alliance: Gather supporters and coordinate revolts against the ruling regime. Eyrie Dynasties: Regain control of the woods while keeping your squabbling court at bay. Vagabond: Seek fame and fortune as you forge alliances and rivalries with the other players. The Riverfolk Expansion adds two new factions, new vagabonds and exciting new game modes. Lizards Cult – Indoctrinate the dispossessed creatures of the woods and spread your creed far and wide. 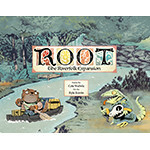 Riverfolk Company – Capitalize on crisis. Offer services and expand your trade operations to secure your status as a merchant king. 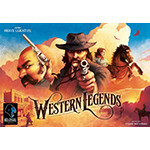 Second Vagabond – Compete with a rival Vagabond to gain fame and fortune while the other factions attempt to secure their rule. Mechanical Marquise – Wage war against the Mechanical Marquise in competitive or cooperative modes! A drafting battle card game about dueling time travelers for 2-4 players! Amsterdam, nowadays. An offence was committed. Over the last days, the police investigation languished. Your detective agency is required to speed it up, but your main rivals are also sent on the case. 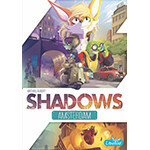 In Shadows – Amsterdam, each detective team drives round the city to find three clues then bring them back to its sponsor, before the other team. In each team, an informer sends visual tips to discreetly direct its detectives as fast as possible. 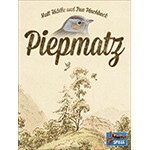 Play a card — Select a bird card from your hand and place it face up at a perch of your choice. Resolve effects — Compare the birds on the ground with the bird at the perch. Take a seed card or add a bird to your collection. Move a bird to the feeder. Draw new cards — Replenish your hand. The game end is triggered when you are supposed to draw a card from an empty feeder deck. Play continues until all players have had an equal number of turns. Each player now chooses two bird cards from their hand and discards them face down. Once all players have done this, add your remaining two bird cards to your collection and commence the scoring. You score points for seeds, mated pairs of birds, and species majorities. Whoever has the most points wins. 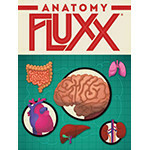 Anatomy Fluxx takes players deep into the human body, and from “Blood Vessels”, “Bones”, “Testes”, and “Uterus”, the game is packed with body bits that keep you ticking. Be on the lookout for “Virus”, “Mutation”, and “Bacteria” Creepers; and UnGoals like “Cancer”. The game also includes two learning rules to get your brain in gear with anatomical trivia. Anatomy Fluxx is for external use only. 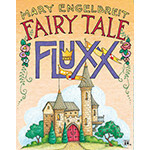 Fairy Tale Fluxx, illustrated by renowned folk artist Mary Engelbreit, brings the zaniness of “the card game of ever changing rules” to the land of “happily ever after”, and the results are fit for a king! Gather Keepers to fit the current fairy tale Goal and you win — but look out for the Witch and the Wolf! As popularized by Alfred Hitchcock, the “MacGuffin” is the thing that everyone wants and is trying to get. Examples include the Holy Grail, the Maltese Falcon, and the briefcase in the movie Pulp Fiction. 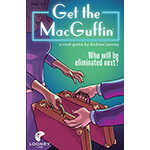 The game Get the MacGuffin is a quick and humorous deduction game involving hand management and player elimination. The goal is to be the last player with cards. The player with the MacGuffin card will frequently win the game, but holding onto that card can prove quite difficult! Also, because there are 23 cards in the deck and players are always dealt an equal number of cards, there will always be some cards that are not in play. Figuring out which cards are missing is part of the strategy! Who has the MacGuffin? Will the Assassin take out The Crown? What did the Garbage Collector find in the trash? What will The Thief steal, and from whom? To the shrewd, all may become known, but sometimes all you can do is Shrug. Now you can set a course for the final frontier with Star Trek Fluxx! Featuring Kirk, Spock, McCoy, and the rest of the original series crew, in this game you take command of the Enterprise, and face Creepers like Klingons, Romulans, and the terrifying Doomsday Machine. You might even find yourself playing “Fizzbin” or “Venting the Warp Core” to explore new worlds and collect the Keepers needed for victory! 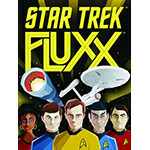 Star Trek Fluxx will take you where no card game has gone before! Now you can beam yourself aboard the Enterprise-D for a game of Star Trek: The Next Generation Fluxx! Join Picard, Riker, Data, and the rest of the TNG crew to gather the Keepers you need for victory — but don’t let Creepers like Q or the Borg keep you from your mission! 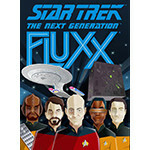 With new cards like “Darmok” and the “Rule of Acquisition”, this version of Fluxx will take you into the 24th century! Bookmark this series of posts to check for updates and finish your wish lists. 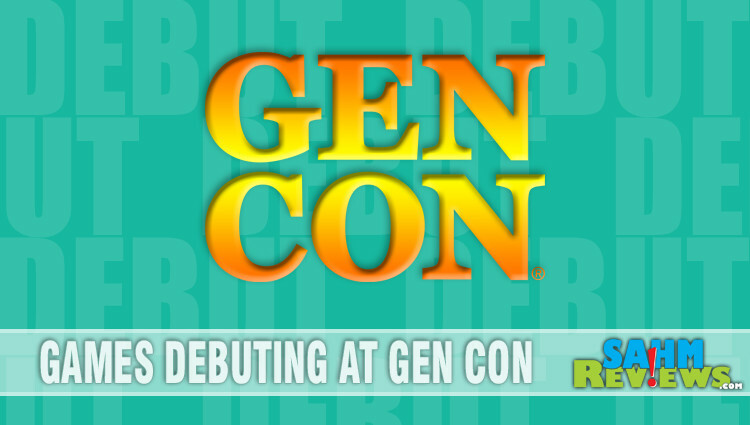 We’ll be back tomorrow with the third and final part of Games Debuting at Gen Con 2018 so stay tuned! And don’t forget to say hello if you see us in Indianapolis!